Pampers Pure Protection diapers help protect your baby’s skin with 0% chlorine bleaching and 100% Pampers protection. They are made without chlorine bleaching, fragrance parabens, latex*, and EU 26 allergens. 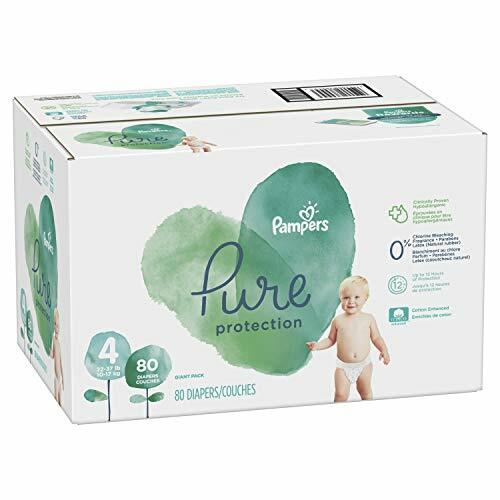 Crafted with premium cotton, soft plant-based fibers, and other thoughtfully selected materials–they’re clinically proven better than Honest Diapers for baby’s delicate skin**. The Seal of Cotton and cotton enhanced™ are trademarks of Cotton Incorporated. cotton enhanced™ soft outercover contains 15% cotton.